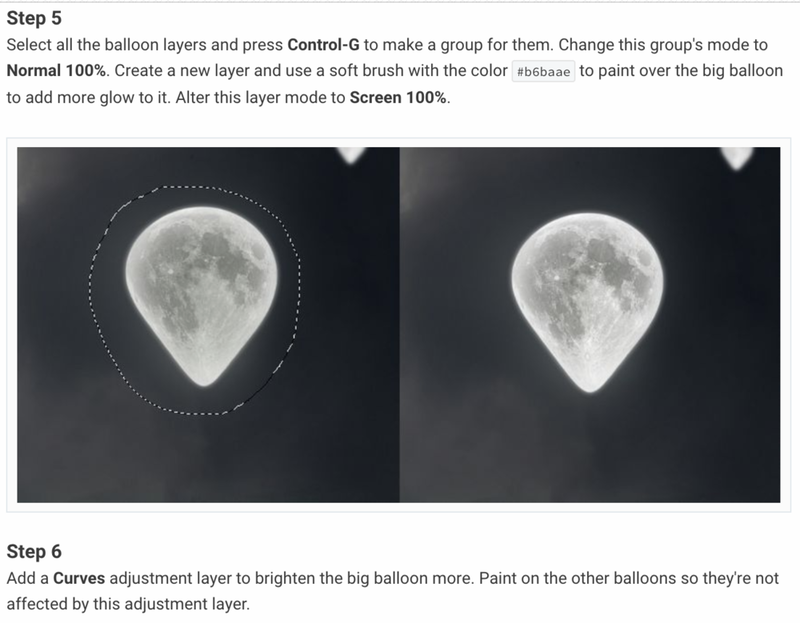 In this tutorial, I'll show you how to create a surreal scene with moon balloons. First, we'll build the base scene using images of the sky and a park. 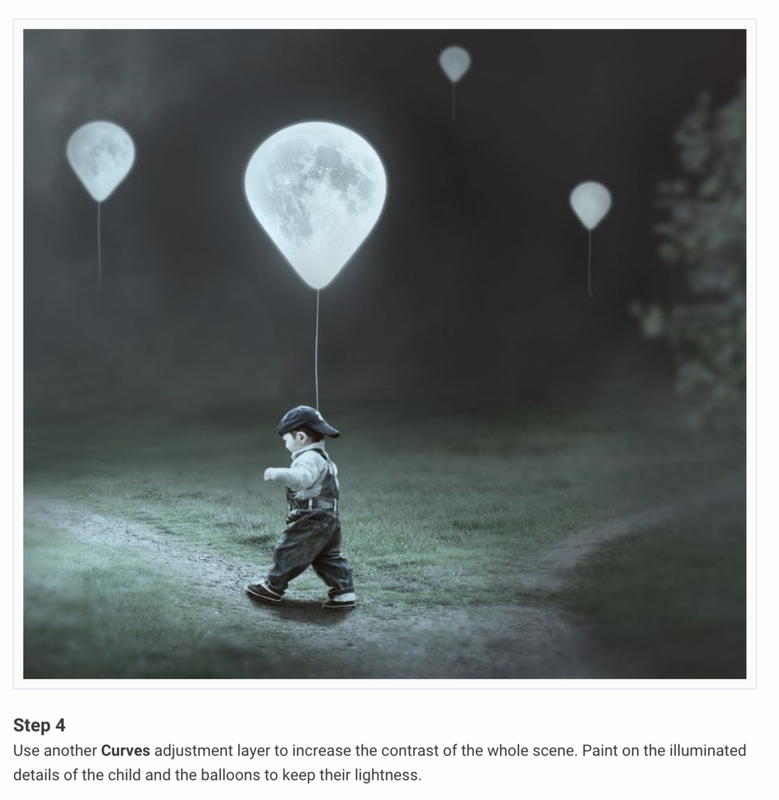 After that, we'll add the child and blend him with the background using adjustment layers, masking, and brushes. 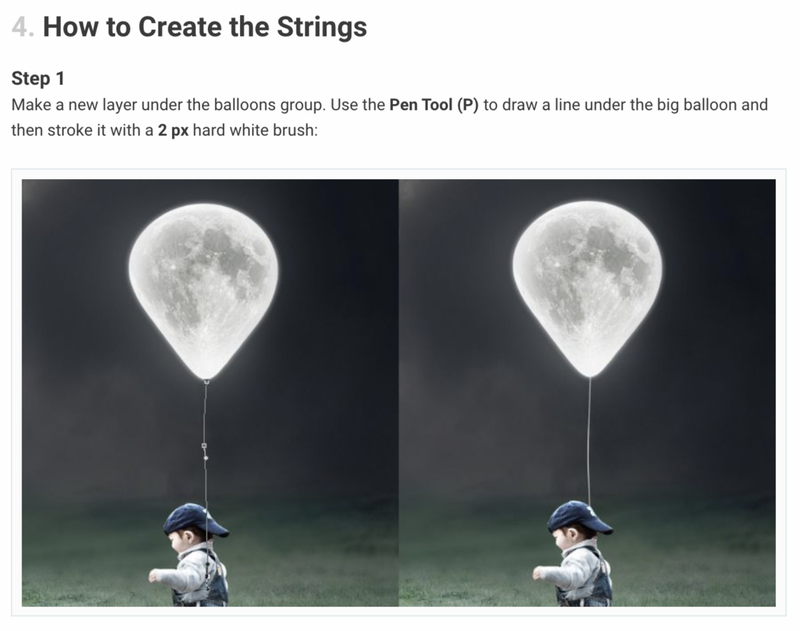 Later we'll create the moon balloons and paint their strings. 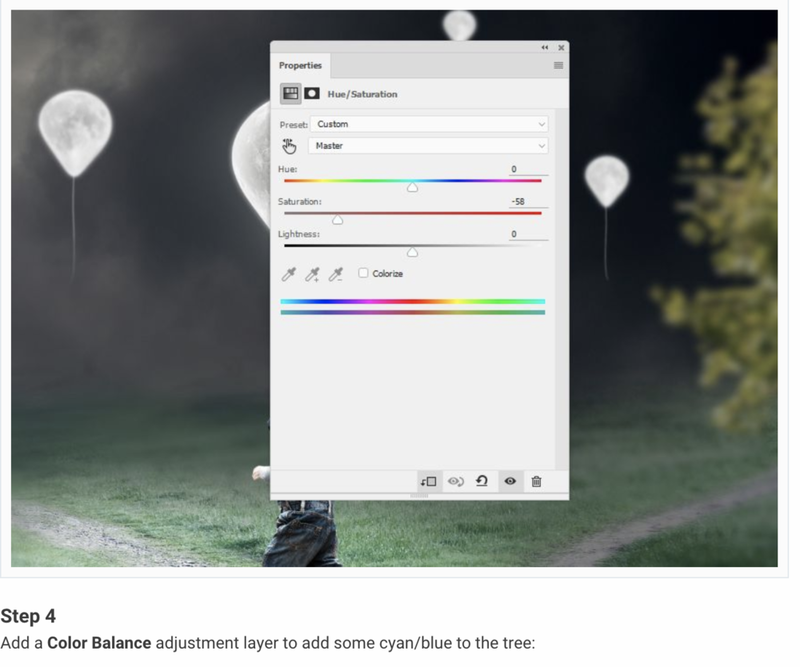 Finally, we'll import the tree and use several adjustment layers to complete the final effect. as the Kid walking photo DOES NOT EXIST ANYMORE. The Moon and Some Kids.